As it's the last day of November, it's time for another monthly favourites! I've actually found myself wearing quite a lot of makeup this month but most of it has come from my Smashbox palette. 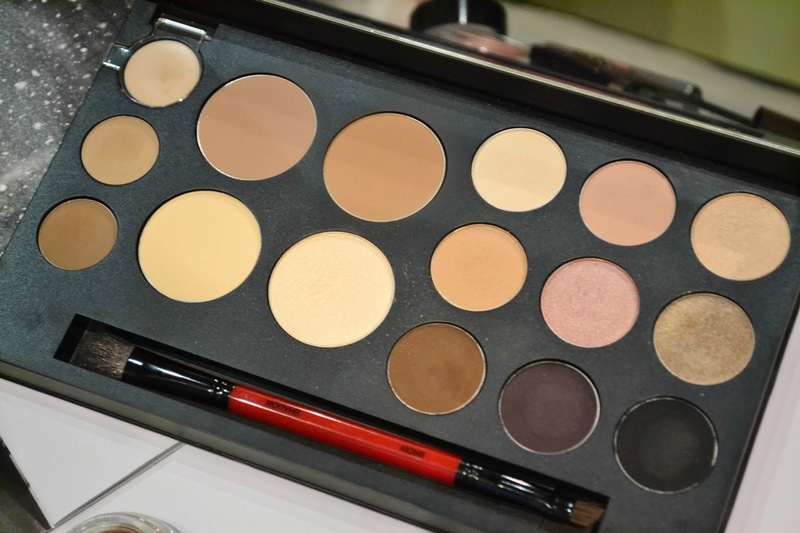 The rest of my favourites are products have have accompanied the Smashbox palette. I have been using this as a base for the pink toned shadows in the Smashbox palette this month but I've also worn this on it's own. 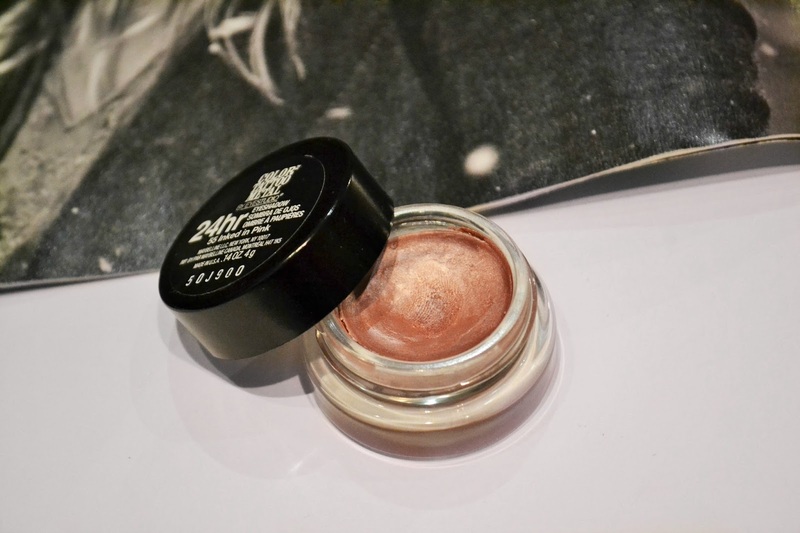 Although it's not the most fall/winter appropriate shade it gives a lovely, subtle, wash of colour that lasts all day. This is a good hand cream with a lovely scent. It sinks into the hands quickly and isn't greasy. It's not the most moisturizing hand cream I've ever used but it keeps my hands from getting cracked and dry. Plus the packaging is so cute. I'm a sucker for anything Rose Gold. 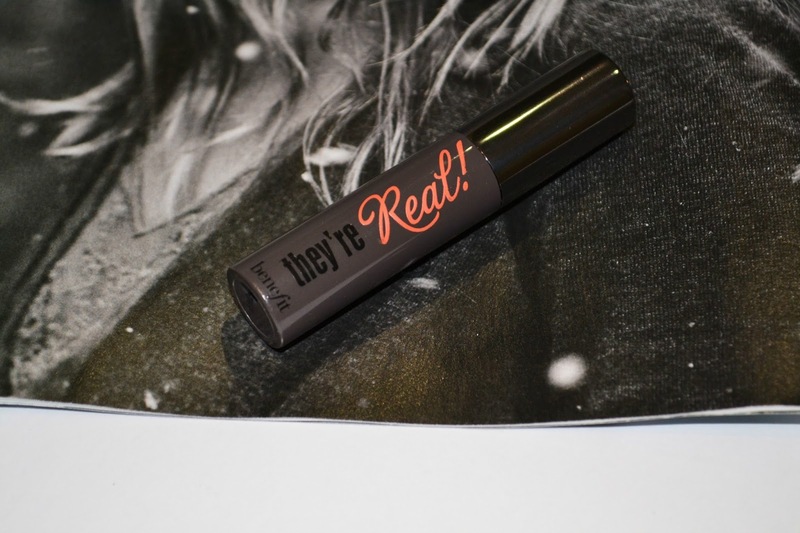 I was not a fan of the Maybelline Brow Drama gel but this one from L'Oreal is amazing. Besides just holding your brows in place, this gel is tinted so it's great for lazy days when you don't feel like filling in your brows and it has fibers that help make your brows look fuller. The brush is also tiny and much easier to control than the Maybelline one. I just love it! This is one of my all time favourite mascaras. 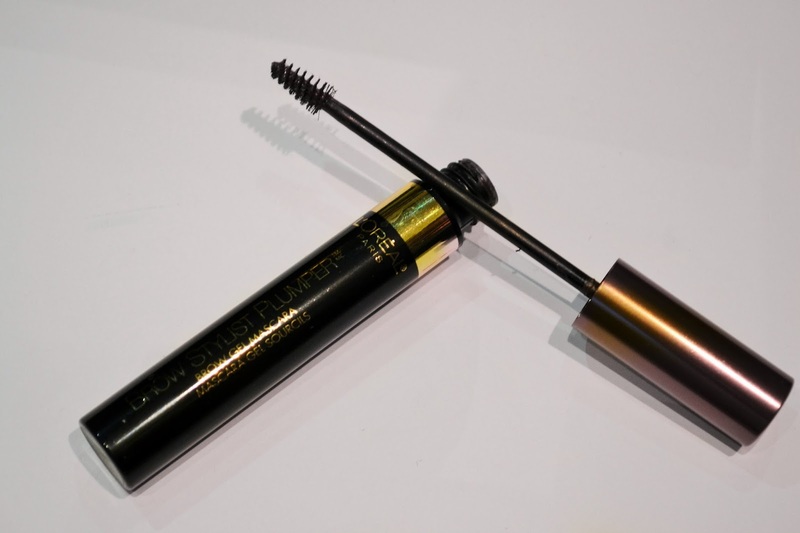 It's amazing at volumizing and lengthening your lashes and the brush makes it really east to coat and separate each lash. Although I've never allowed myself to splash out on the full size, this is the second mini that I've gone through. The only downside is one everyone already knows, it's hard to remove.